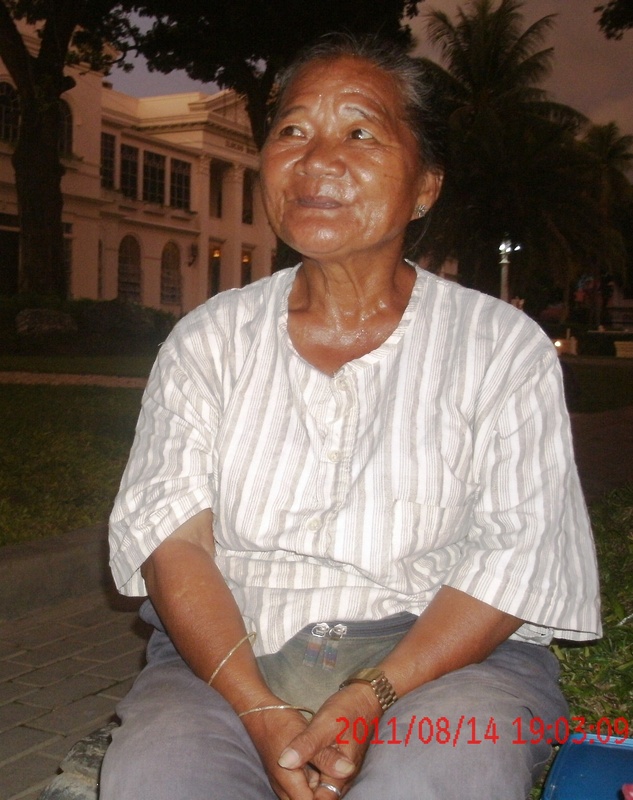 SHE’S got to be today’s most loved lola in the Saluyot Republic. Many wept, some smiled. Many wept and smiled. Many wanted to hug the lady, others wished to join her for coffee. Everybody prayed for her good health. 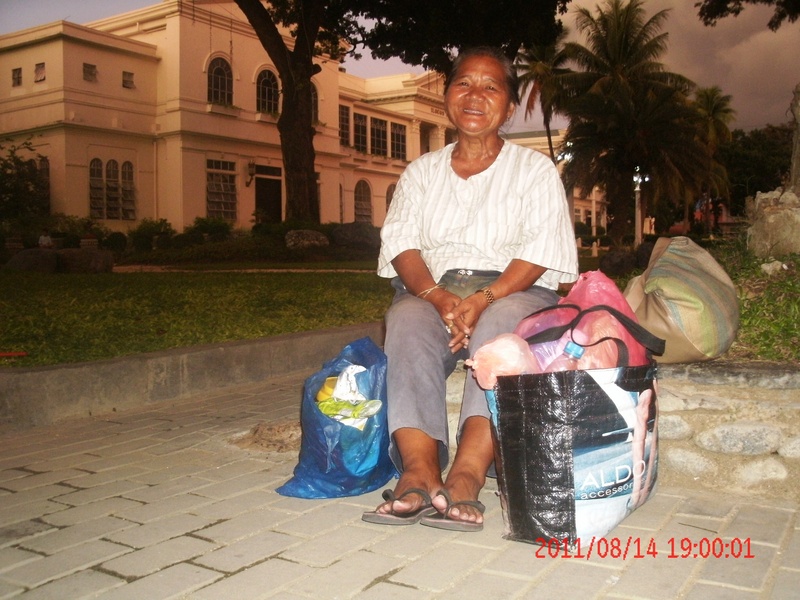 While many wanted to help the lady, the wiser ones knew that Matilda “Gretchen” Mandac, just by living a life of bliss and serenity amidst harsh realities, has already helped them. Last week’s “The (other) Lady at the Capitol” elicited heartwarming reactions from thousands of netizens who read, liked, and shared the article posted in this blog and circulated heavily in social networking sites. “This is tragic and yet inspiring. I have to admit my tears were flowing while reading the story. Some people have everything and yet they want more. This amazing lady is an angel. Thank you, Nana Gretchen, for opening my heart,” says Passerby, member of a famous rock band. I didn’t know he can be that cheesy. Carla Tayag, another blog visitor, had a similar sentiment, “..And here I am, whining that I can’t even buy myself a new pair of flats. I think learning about her story already helped me a lot… In fact, more than I can ever help her.” Indeed, many readers admired Nana Gretchen for her indomitable faith and strong character. To many, she exemplifies the best in the human spirit. I have asked this question since I began to ask intelligible questions. Pesky and dangerous, nobody is happy with mosquitoes, except businessmen behind insecticides and insect-repellants, crocodiles in pharmaceutical firms, and doctors who, while charging sickening fees, pay, if at all, below minimum-wage taxes. I am sure you know somebody who has suffered from dengue. And the victim could be anybody: man or woman, old or young, rich or poor, sinner or saint, Noranian or Vilmanian. Author Herdy La. YumulPosted on August 5, 2011 August 5, 2011 Categories Health, Personals, ReligionTags dengue, faith, mosquiroes14 Comments on Why did God create mosquitoes?